Squad Modding Roundup : Squad – Communicate. Coordinate. Conquer. If you haven’t checked out the Squad Modding Hub yet, you’re missing out on some of the coolest things happening in Squad today. Fortunately for us, the modding community has a solution, and it’s a fun one. Who: Anyone and everyone interested in modding or playing Squad mods. No experience necessary! What: A weekly curated event to check out the latest in modding. When: Every Saturday at 2000 UTC. How: Visit squadmodweekly.com for the latest files. 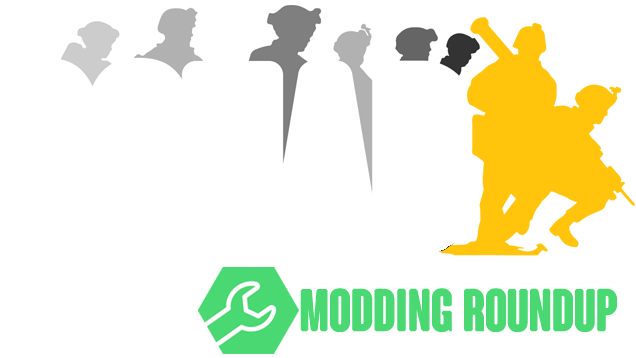 Where: Squad Modding Hub Discord and Squad server. The fine folks behind your favorite mods have come together to power a server that will not only offer weekly events to check out the latest projects but a specially curated selection of modifications updated every week or two. The experts will be picking and choosing the best mods to showcase, as well as offering tips, feedback, and testing. Cool, right? Every Saturday at 2000 UTC, they’ll use those curated mods to host combination playtest and Squad jamboree. Hang out, check out the mods, meet members of the modding community, and maybe an OWI developer or two. You may want to show up a little early since nobody wants to wait in the server queue. =) If you can’t make it, be sure to check the Discord for a live stream.